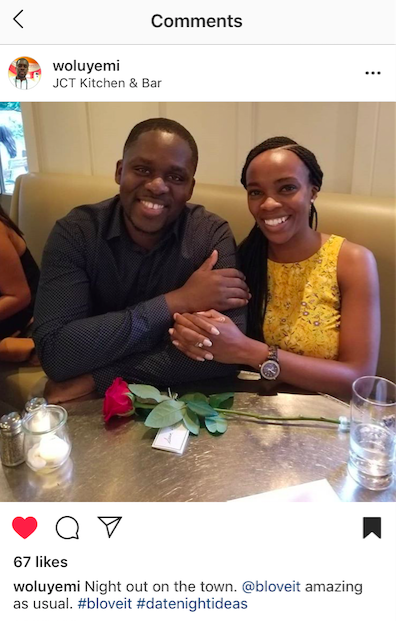 The trick to successful relationships is to always feel like you’re dating your partner, and Bloveit is here to help. In our (almost) eight years of marriage, my husband and I have committed to weekly date nights. Typically on Friday nights, it’s the one night a week we reserve just for us. And while we have our go-to spots, we’re always looking to try something new. 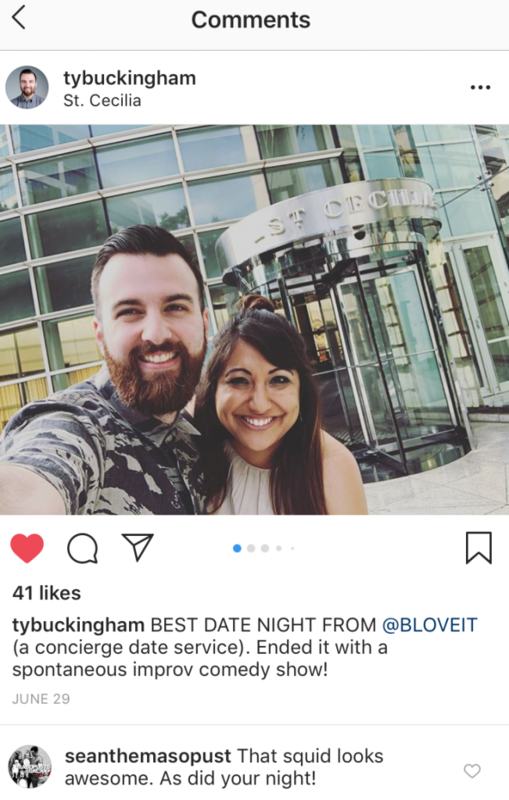 Which is why I was super excited to learn about Bloveit, a date night concierge service for couples. Bloveit was kind enough to offer us a complimentary date night to St. Cecilia in Atlanta so we could check out the experience for ourselves. We’ll get into those details in a minute, but first, let’s get to know more about this concept from Bloveit’s CEO & founder, Ugo Ezeamuzie. Tell us your story and what led you to the path of launching Bloveit? What’s the Bloveit elevator pitch, and how has Bloveit grown since it launched? The importance of product-market fit cannot be understated when it comes to having a startup succeed. 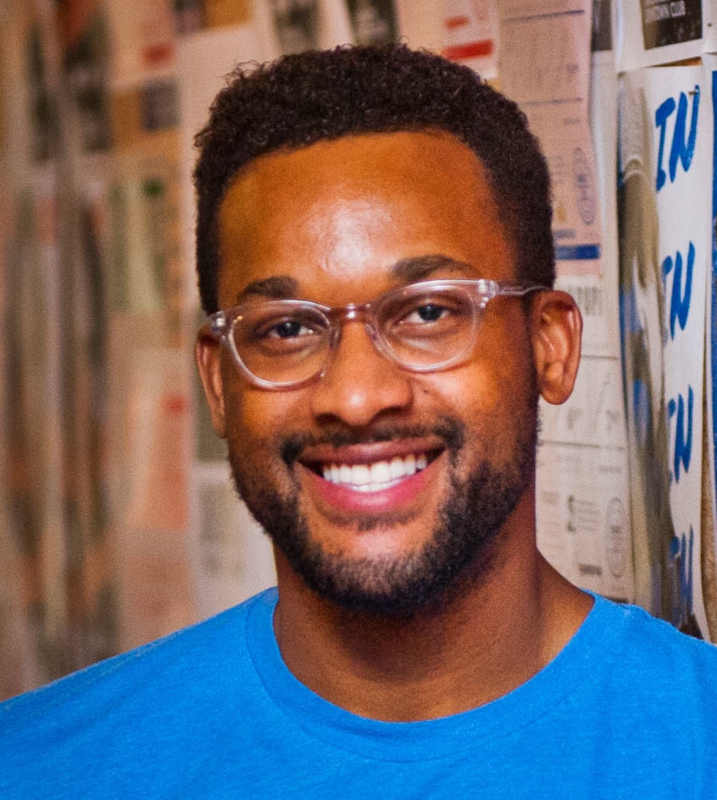 How has Bloveit created its own niche? What are your favorite date nights you’ve been on or planned for clients? Any favorite menus? Fave drinks? Activities? What’s your perfect date night? Or the best date you’ve been on in ATL? Who are some of those folks you’d like to give shoutouts to? What’s the revenue model for Bloveit? 1. 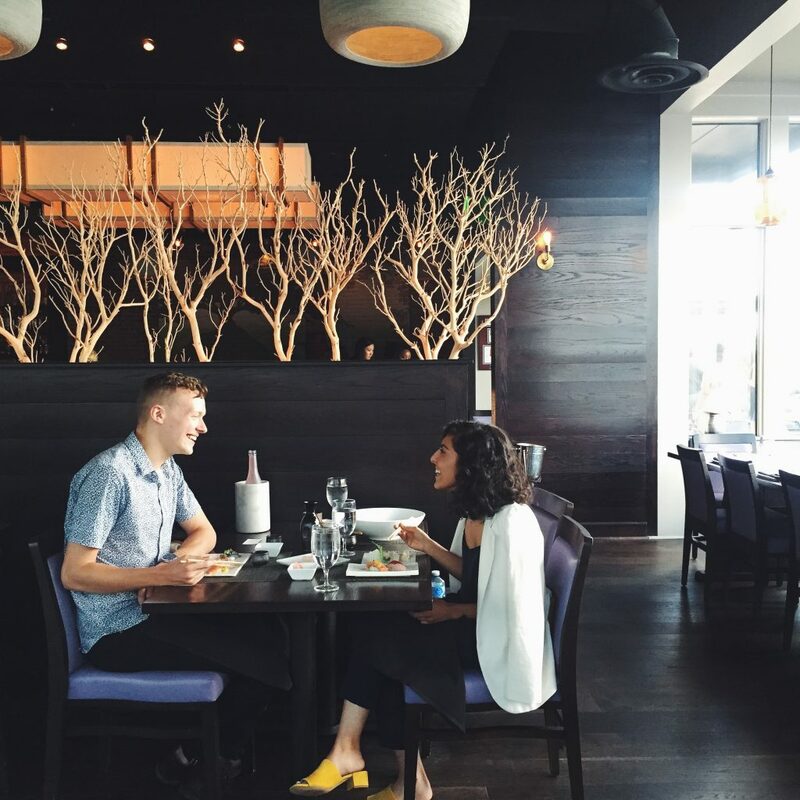 We charge couples $9.99 per month to plan each date night. 2. We negotiate to take a 10-15% cut of the total bill from the restaurant side. What comes next? What are your goals for 2018 and beyond? Your home is in Atlanta. How is Bloveit helping to support our city’s growth? What do you see for the future of the South? Now here are pictues from our own Bloveit date night at St. Cecilia. I was pleasantly surprised to find a flower and ‘love note’ from Bloveit waiting on our table. 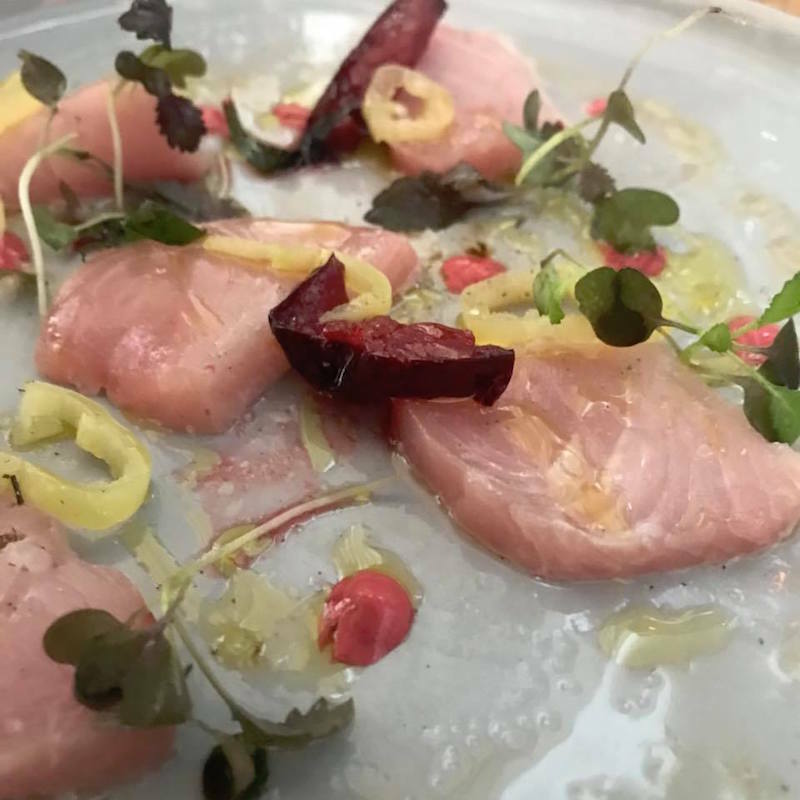 Chef Craig Richards was kind enough to send out a hamachi crudo appetizer. It was exceptional! 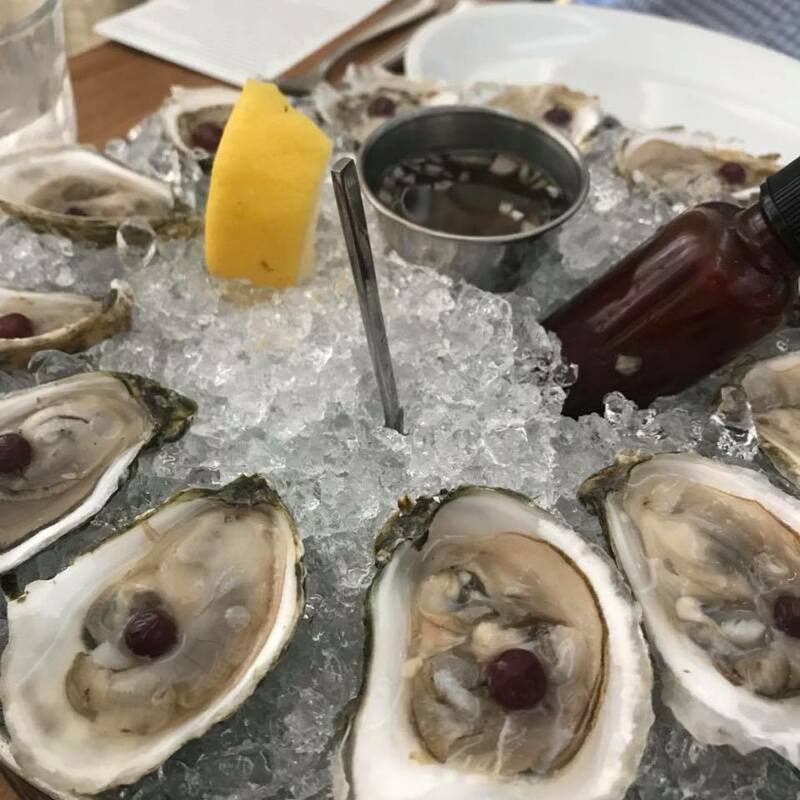 What’s a date night without aphrodisiacs?! The oysters at St. Cecilia were awesome. This squid ink pasta with clams was sooo good! 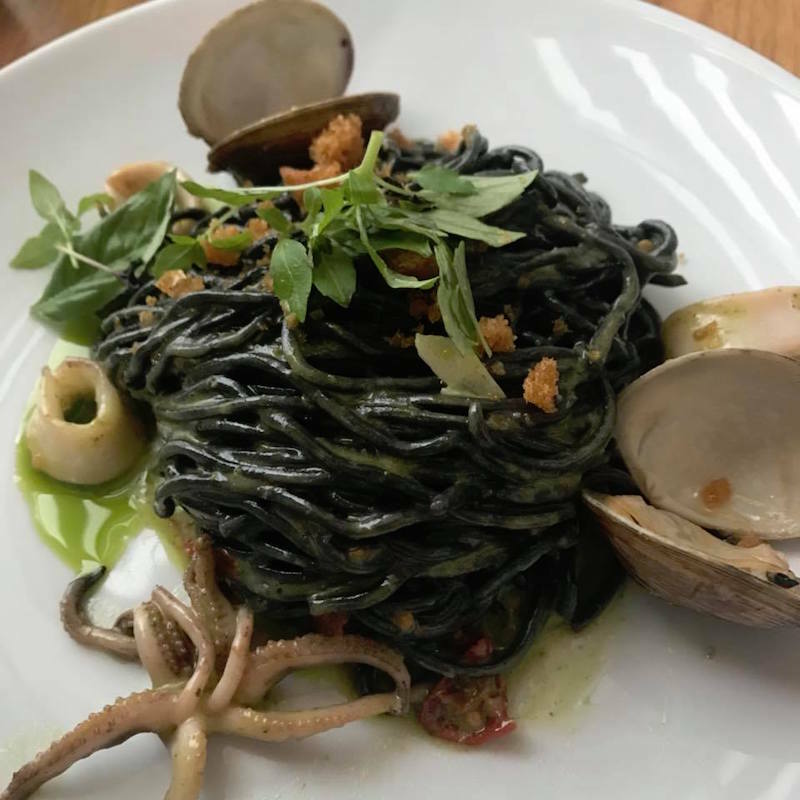 Bloveit sends you the options for your dinner before arriving, and while I was nervous about the squid ink at first, it was so tasty that my husband and I swapped plates halfway through the meal! I love Bloveit so much that I became a subscriber. It’s only $9.99 per month and the first month is free. To learn more, check out Bloveit’s website and blog plus follow Bloveit on Instagram, Facebook, Twitter. 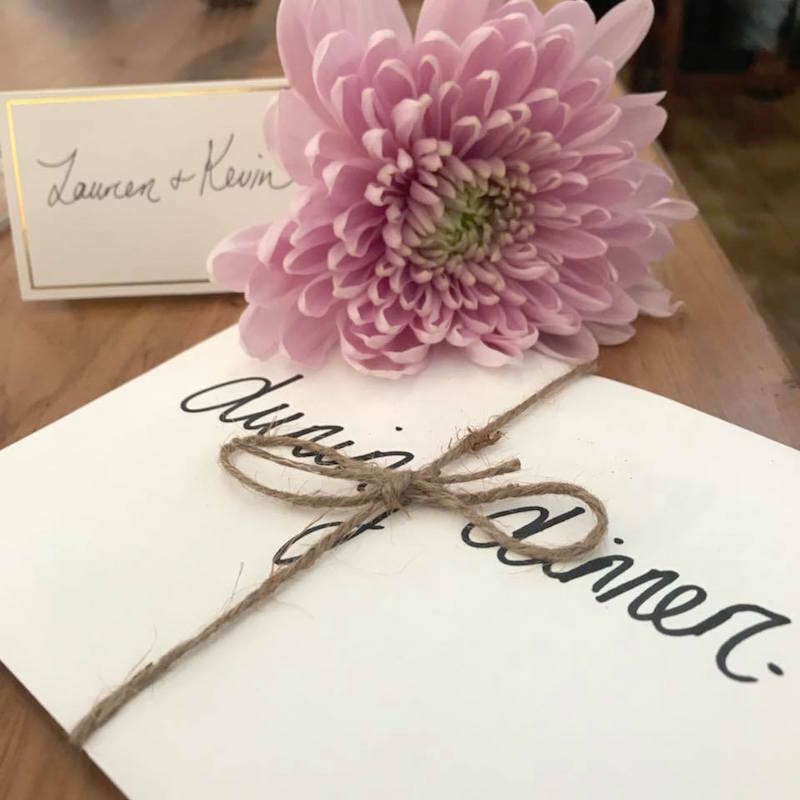 Thanks again to the Bloveit team for our awesome date night, and be sure to follow along with our adventures at Pretty Southern. Let us know your thoughts in the comments section below.